A mass of Christian burial will be held at 10 a.m. on Saturday March 23, 2019 at St. Edwards Church, celebrated by Rev. Msgr. 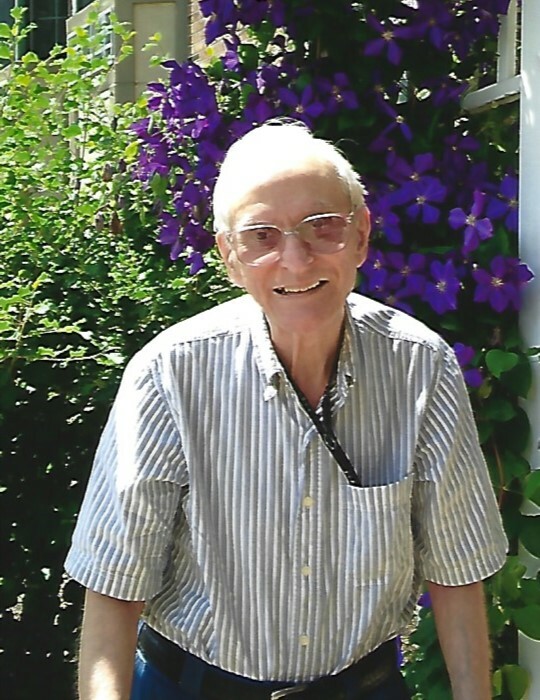 Robert J. Siffrin for Paul A. Antonelli who passed away peacefully at Shepherd of the Valley in Poland. Paul was born on April 24, 1930 in Youngstown to the late Attorney Thomas E. and Mary Adavasio Antonelli, Sr. In his early years Paul worked at National cash Register, and Hamburg Brothers. In 1949 he graduated from Ursuline High School and in 1954 he completed minors in Business, Psychology, and English from Youngstown State University. His graduate work took him to West Minster College. Paul taught school in Hubbard, St. Joseph in Canto, and St. Joan of Arch, in Reed Urban. He was a lifelong member of St. Edwards Church in Youngstown. Simply put, to know Paul was to love him. His dry sense of humor made everyone laugh. As a servant of the Lord, he and his brother Edward cared for their parents and their brother Mark’s needs for many years. Paul’s bookkeeping skills were like no other. Every item he purchased has information written on it as to the place, price and date. He had a gift of organization with a touch of perfectionism. Paul was an expert at shopping, cooking and baking. He prepared many meals for his large family, and their holiday gatherings were elegant and memorable. His recipes and cookbooks are priceless. Not only was he creative in the kitchen, but he was also blessed with artistic drawing skills. Old classic cars were one of his favorite hobbies. His 1985 Oldsmobile and his 2004 Buick were kept in mint condition. Some of his other hobbies were collecting beautiful hand painted plates, stamps and coins. Paul was a good neighbor and cared about all his friends at Glenellen. He leaves to cherish his memory his beloved sisters-in-law Nancy Antonelli, and Kathy Antonelli. He leaves his nephews and nieces; Louis W. Antonelli, Robert Antonelli, Thomas E. Antonelli, Angela Fozard, Karen Stanfar, and Mary Lisa Hami and their spouses. He also leaves many great nieces and nephews and his best friend Angeline Tarintino. Preceding him in death were his sister Rose and Rocco Benedetto, his brothers Louis, Mark, Edward, and Thomas. A special thank you of gratitude is extended to Dr. Charles Wilkins and his staff, and the staff at Glenellen and Shepherd of the Valley. Paul’s family request material tributes be made to St. Edwards Church Building fund, 240 Tod Lane, Youngstown, Oh., 44504. Family and friends may call at St. Edwards Church 240 Tod Lane, Younstown, Saturday from 9 to 9:50 a.m. prior to mass at 10 a.m.
Interment will follow at Calvary Cemetery. Arrangements have been entrusted to the Fox Funeral Home 4700 Market St. Boardman.